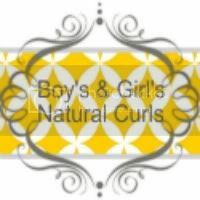 This is our first Hair Carnival that Keyanna and I have participated in and we are so excited! The topic is past Halloween Costumes and styles, unfortunately most of these pics were taken before we started blogging (or even doing hair for that matter) so they are not super fancy or anything like that. 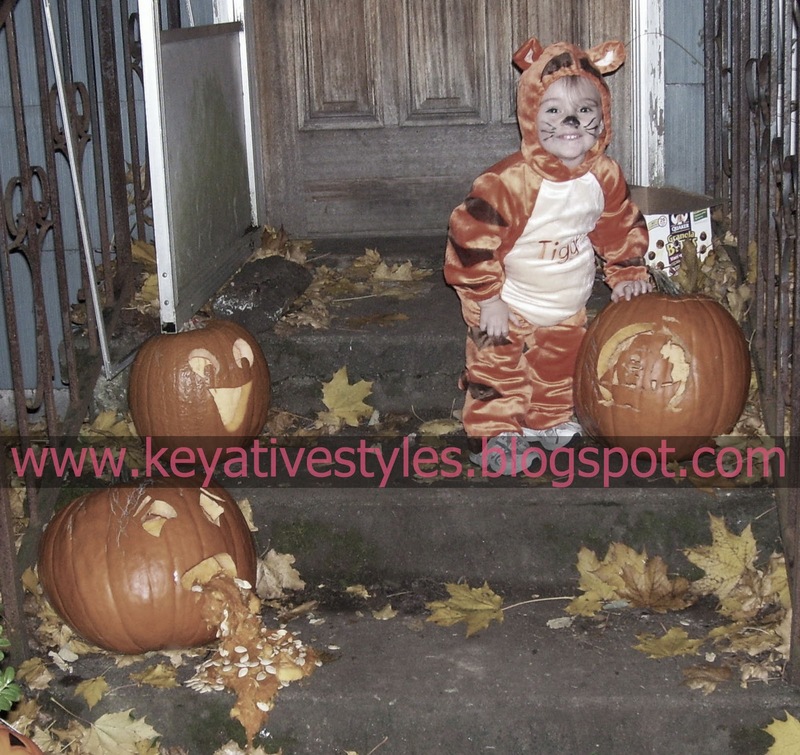 But I love looking back through old pics of my baby when she was a baby so this was definitely a fun post to do! Hope you all enjoy it! Keyanna’s first Halloween she was 5 months old and went as a bunny, I waited until the absolute LAST second to get her a costume (we literally bought it Halloween morning lol) so needless to say everything was already picked over. This was the last costume they had in her size, I didn’t really care for it but at least it was warm.. Halloween in Portland in usually cold. 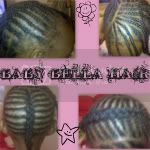 Obviously we didn’t do anything special with her hair because.. Well, she didn’t have any! These pics are from my old film camera and I was not trying to bust out my scanner so I just took a pic of a page out of her baby book. By the way, she hated the hood and wouldn’t wear it lol. 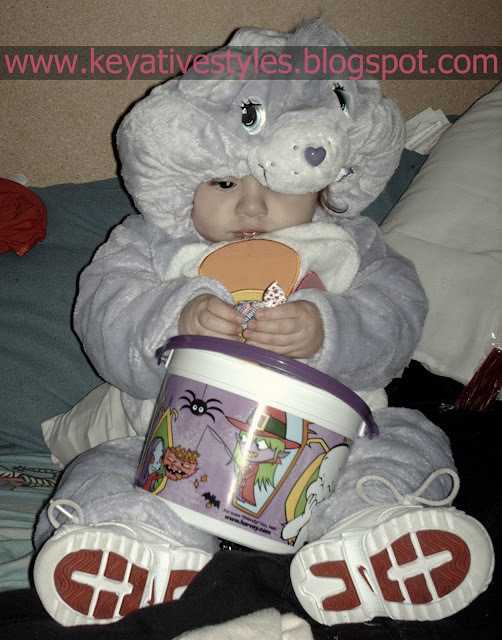 For her second Halloween she was almost a year and a half and went as a Carebear! We shopped a little earlier that year and when she saw the costume at Walmart she had to have it. And she was so cute in it! Didn’t do anything special with her hair this time either as it was going to be covered by the hood, or so I thought! She still didn,t like wearing hoods so this was the best pic I got. 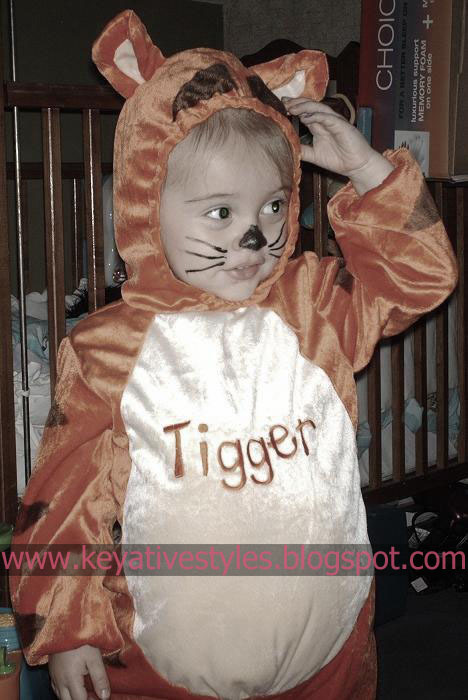 For her third Halloween she was about 2 and a half years and went as Tigger (the cutest Tigger I have ever seen if I do say so myself lol). I just tied her hair back into a pony, since yet again it was another hooded costume, but guess what?.. She actually kept the hood on that year! 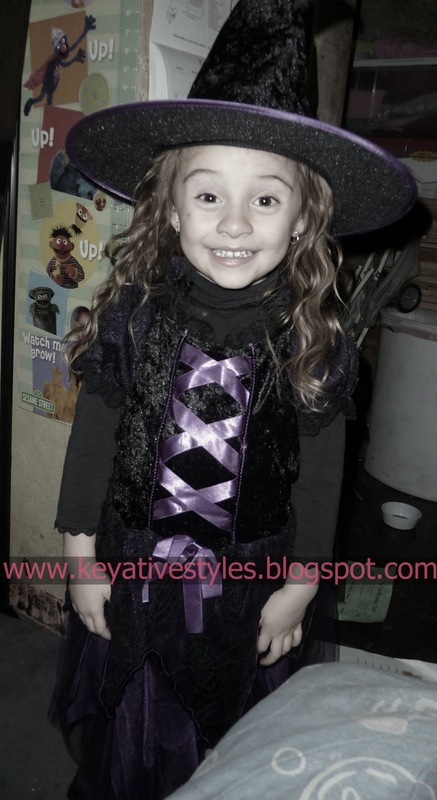 Keyanna wore the same costume for her fourth and fifth Halloween, I couldn’t find the pics from the fourth.. They are on a CD around here somewhere but here are a few from the fifth. She went as a witch. 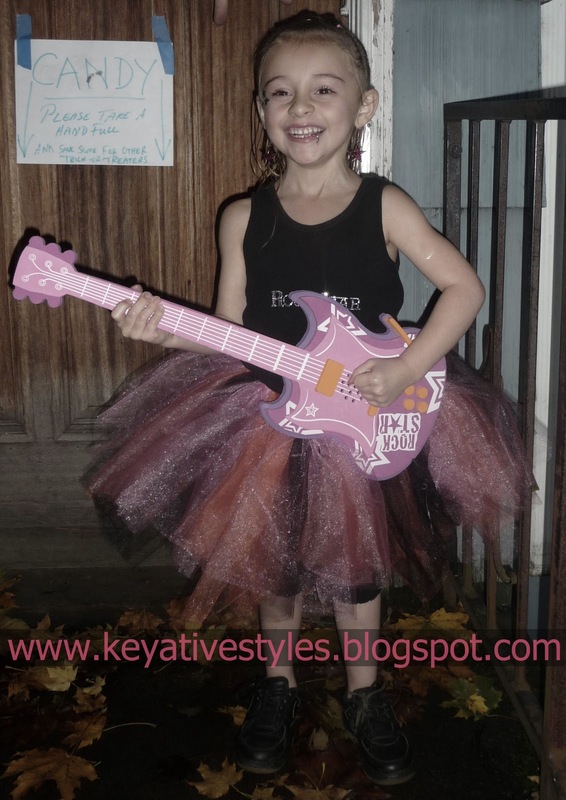 Last year Keyanna was 5 years old and went as a ROCKSTAR! Her favorite costume so far. 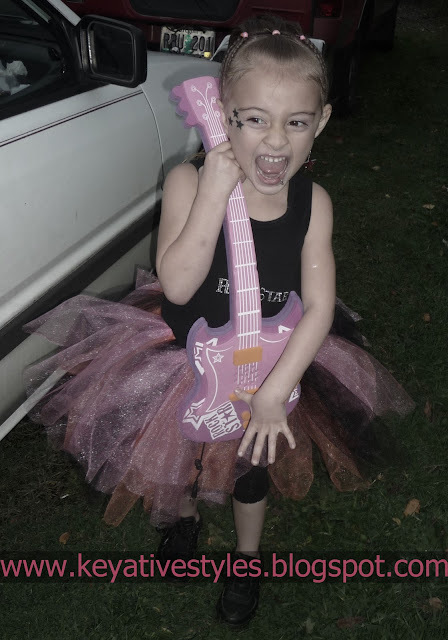 She even sang Hannah Montana/Camp Rock songs at peoples doors while she was trick or treating lol. And for once we had a warm Halloween. I made her tutu for the costume and just put an iron on transfer on the top to make it sparkle. This costume was easy to make and hardly cost us anything. For her hair I did a braided Mohawk, the product I used ended up being way too heavy for her hair and just weighed the top part down, but I didn’t have any time to fix it before we went out that night. And here's a bonus pic i just couldn't resist posting. Keyanna at a year and a half wearing her uncles mask. What will Keyanna be for Halloween this year??? Check out our next hair carnival at the beginning of November to find out! Haha, she was so cute! Loved all the costumes! Awwww, so precious! I love the rockstar one! Oh, and Tigger, too! awww! She's adorable! I love her costumes! and the dreaded hoods.... hehe! 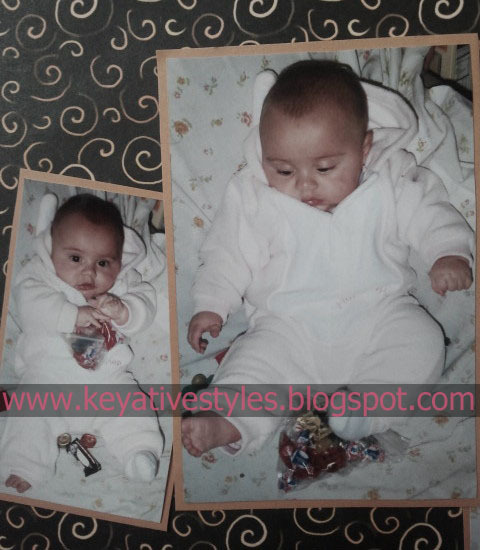 aww, baby Key, how precious! I love seeing pics of her through the years, all of her costumes were cute, she is adorable! 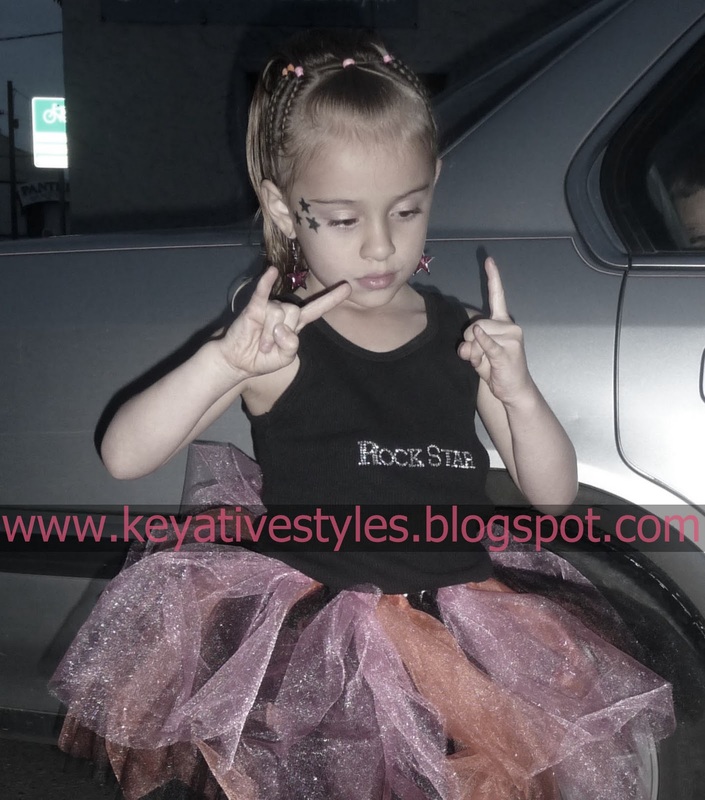 Key was cute as Tigger and think she is adorable as a Witch but I love how she rocked that rock star look. Thank you for sharing. she was such an absolute cutie. Ha ha ha! !